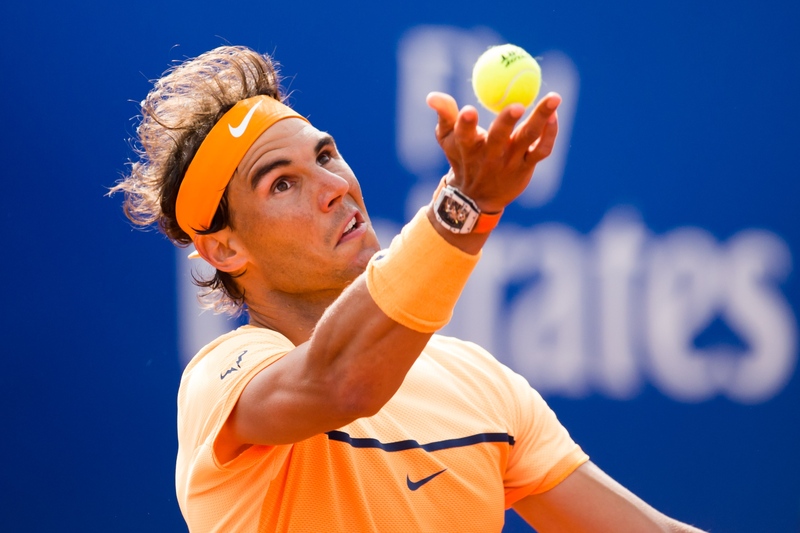 Barcelona Open R3: What time does Rafael Nadal play against Albert Montanes? On Thursday, eight-time champion Rafael Nadal will face wildcard Albert Montanes (No. 104) in the third round of the Barcelona Open Banc Sabadell. Our champ leads head-to-head series 3-0. They also met twice on the Challenger circuit, both of which Rafa won in straight sets. Rafa has never lost a set let alone a match to 35-year-old Montanes. STAY FOCUSED Rafa. You know what you have to do to beat Fognini. The best to you on Friday. Now, unto Fabio, whom I wanted you to meet. He said that he CAN beat you. He has already sent a warning last year, not sure what has transpired between you and him. Any ways, remind Fabio like Stan, Andy, Verdasco and all others that 2015 was not all about them and more about you. Fabio is chomping at the bit to get you and YOU ARE CHOMPING ALSO. I never want an easy draw for you because you don’t need an easy draw. Easy are for losers and that YOU ARE NOT. Well, good luck anyways tomorrow and practice your chomping for the trophy ceremony. And last note if you beat Fabio tomorrow, they’ll say he went on a walkabout blah, blah, blah good – a walkabout straight to Italy. Chomp Chomp! Hopefully Rafa gets your memo and dispels the Fog. Stay strong Rafa, give him no quarter!! Nadal beats Montanes at Barcelona with a 6-2 6-2 victory. Get it done Rafa. Hopefully you meet Fognini and crush him too. Get it done! Congratulations on your win today. I still have to watch the match as had to record but the scoreline is impressive! Good luck for tomorrow against Montanes and Vamos Rafa as always! Good luck and best wishes Rafa go Rafa Go !!! Good luck for tomorrow. Vamos Rafa! !